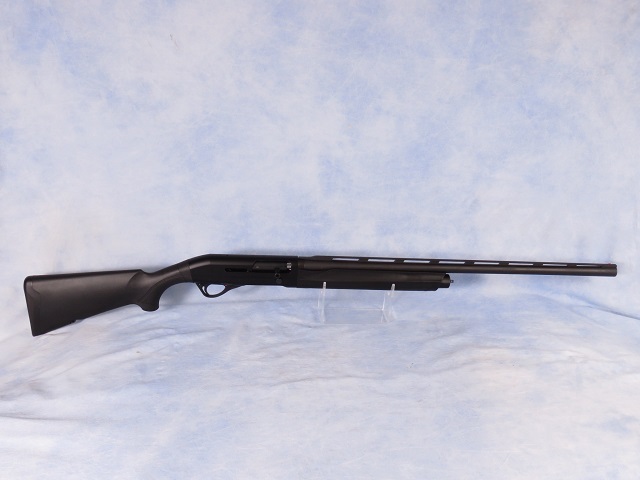 Franchi Affinity 3 seni auto 12 gauge shotgun with 3" chamber. Features include drilled and tapped aluminum receiver, blued 28" vent rib barrel with fiber optic bead sight and removable chokes, textured black synthetic stock and forendcrossbolt safety and oversized operating handle. Has been test fired and cleaned, a very nice handling shotgun!